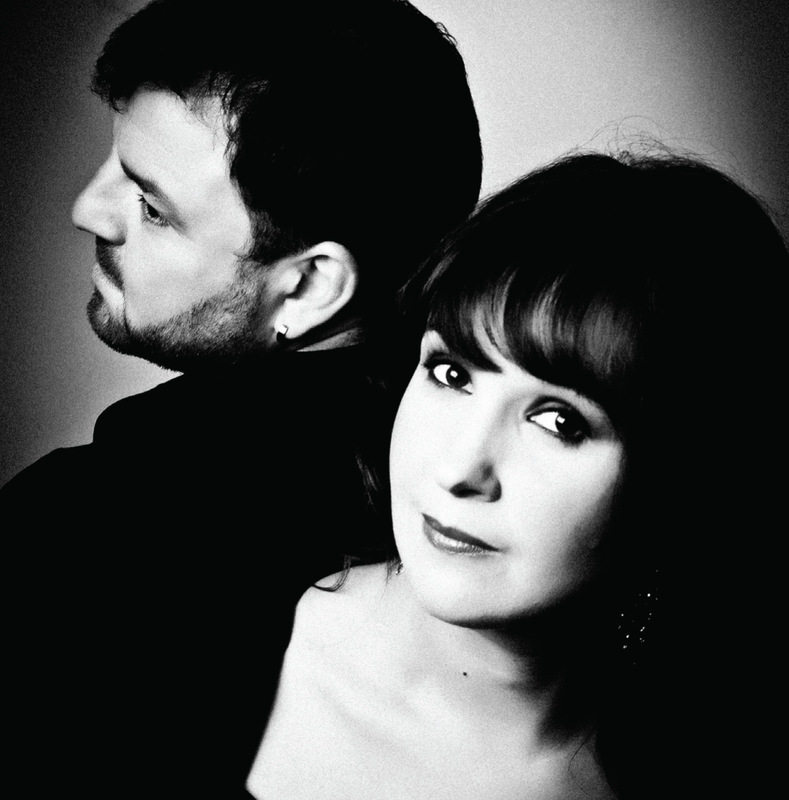 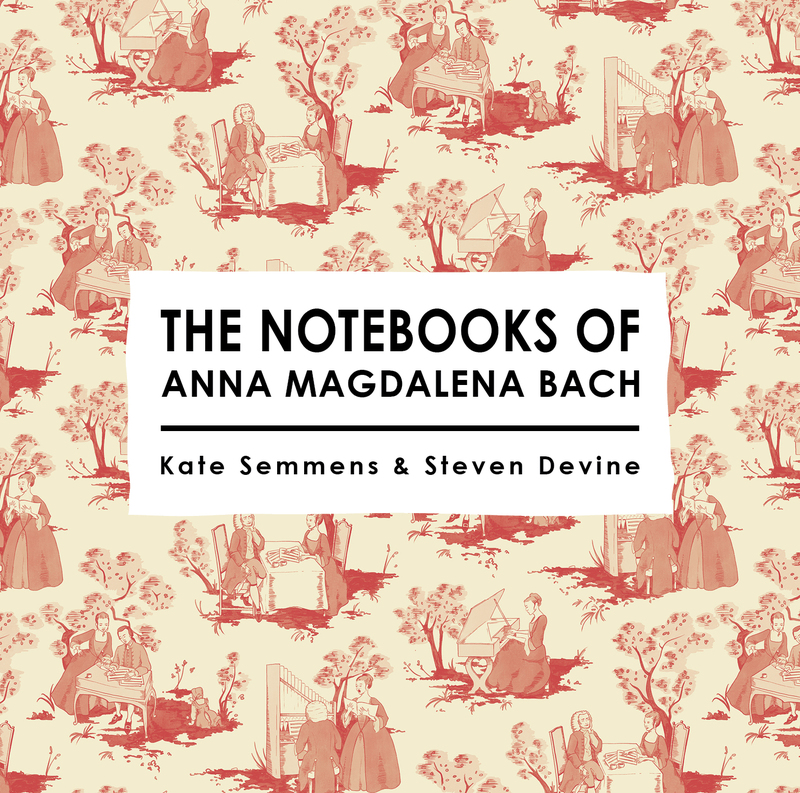 A charming selection of songs and harpsichord music from the two notebooks belonging to Anna Magdalena Bach performed by the highly-acclaimed duo of soprano Kate Semmens and harpsichordist Steven Devine. 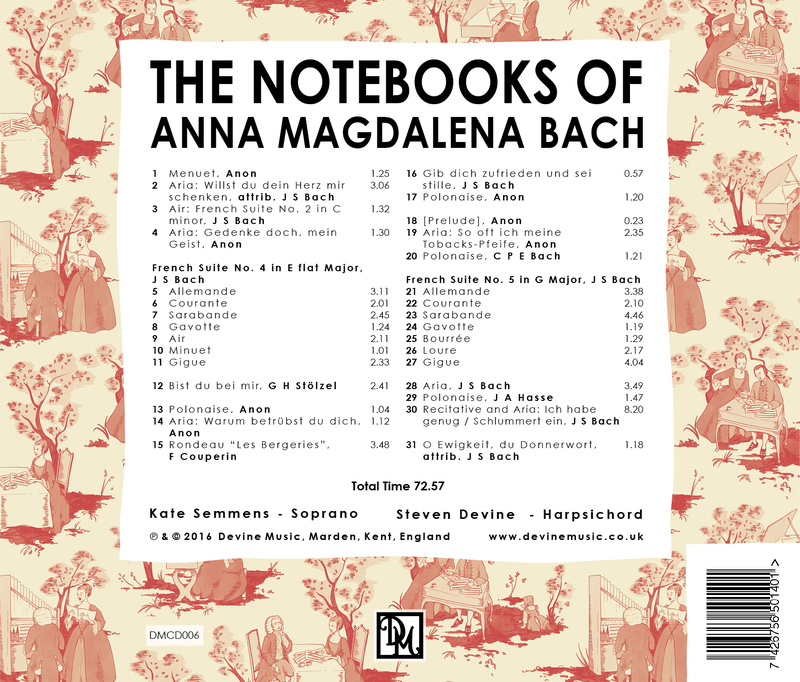 The two notebooks of 1722 and 1725 were gifts to Anna Magdalena from her husband Johann Sebastian Bach. 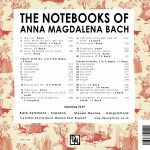 We can only speculate about the purpose of the notebooks but the variety of music contained within gives us an insight to the domestic music-making of the Bachs, and the direct involvement of Anna Magdalena in the musical life of the household. 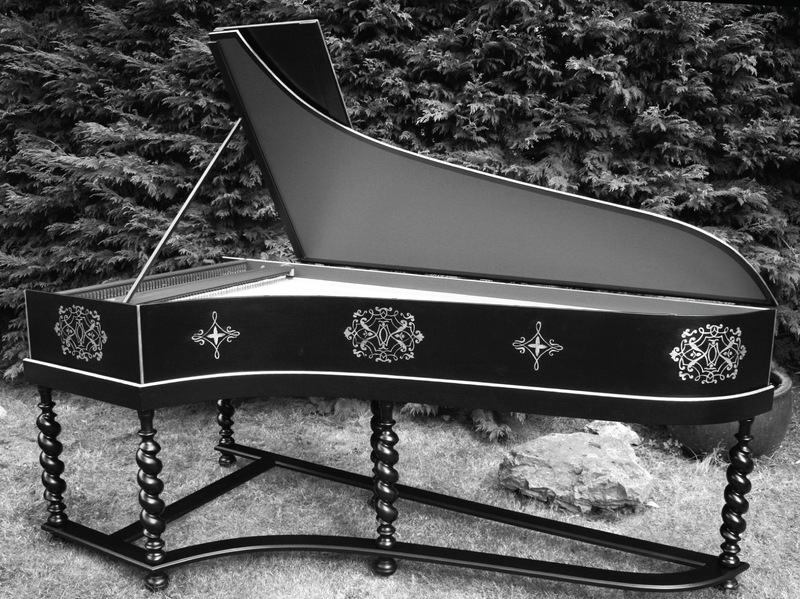 They contain music that could have been used for private amusement and entertainment as well as the basis for teaching. 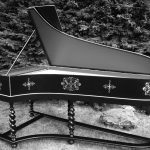 The notebooks also contain early workings of pieces by Johann Sebastian, later to be developed into great works in their own right. 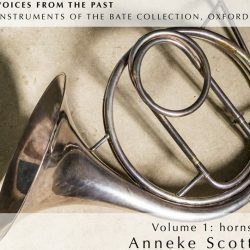 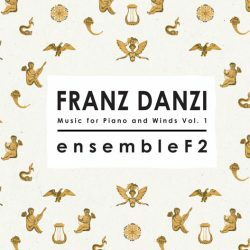 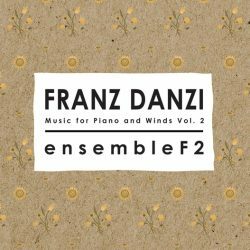 The programme featured on this recording is mostly made up of music from the 1725 notebook with the addition of two “French Suites” from the early book. 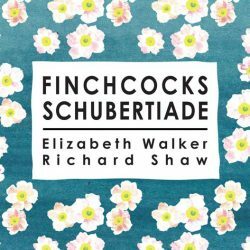 This charming programme has been performed many times by Kate and Steven: as many of the songs are short they have enjoyed performing these as sequences which run the smaller harpsichord pieces into the songs, and this concept is mirrored on the CD.